Most common intrapelvic, through defect in medial acetabulum. 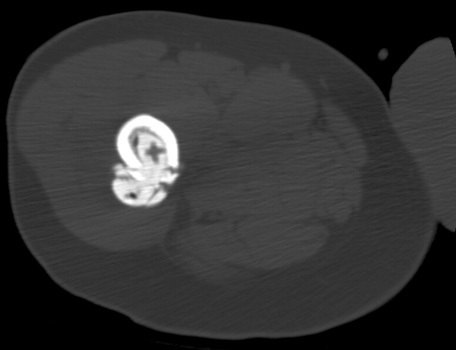 Rare complications include bowel fistulas, encasement of neurovascular structures, bladder wall burn. 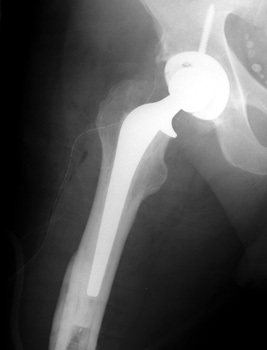 Cement extravasation in the pelvis from through defect in the acetabulum. 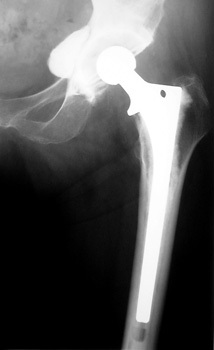 Cement extravasation in the thigh through intraoperative fracture at the level of the tip of the femoral stem.